If you have any questions about the CIPITOUBA II information page below please contact us. The well proportioned luxury yacht CIPITOUBA II is a motor yacht. This 35 m (113 foot) luxury yacht was built at Cyrus Yachts in 2009. Superyacht CIPITOUBA II is a stately yacht that is able to sleep as many as 8 guests on board and has approximately 5 qualified crew. Launched to celebration for 2009 the comparatively recent interior design proffers the contemporary expression in the designing of Rene Van Der Velden Designs. 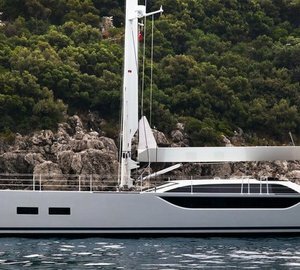 The yacht's general design work came from Van Oossanen & Associates and Rene Van Der Velden Designs. The technical naval architect plans are the work of Van Oossanen & Associates. 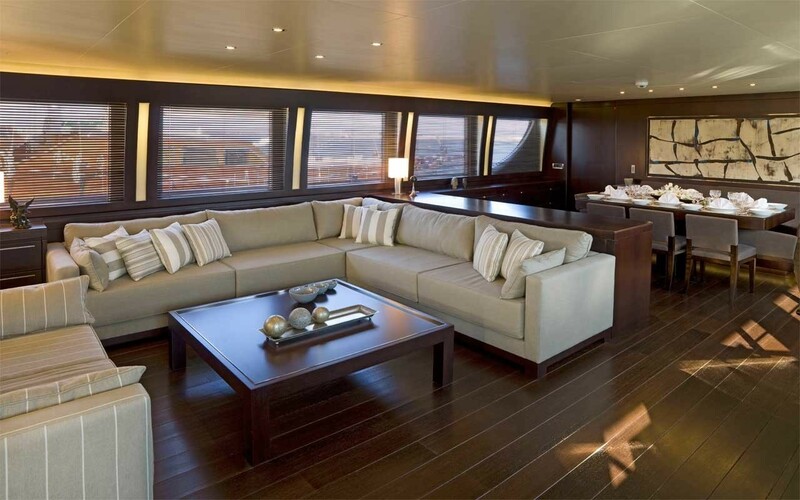 Motor Yacht CIPITOUBA II received her elegant interior designing from the interior design firm of Rene Van Der Velden Designs. Created by Cyrus Yachts this yacht was completed in the country of Turkey. 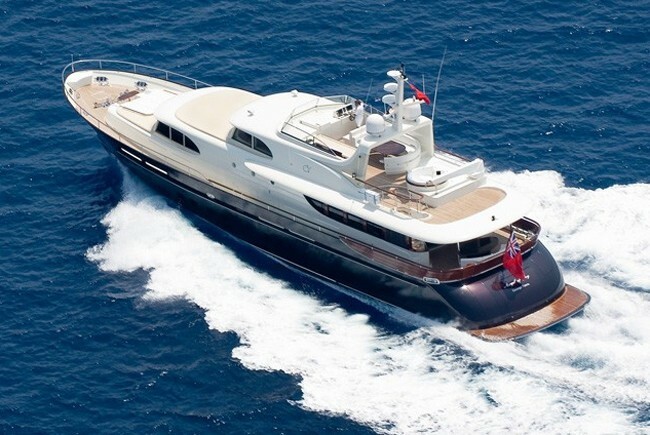 She was officially launched in Antalya in 2009 before being handed over to the owner. The hull was constructed with composite. The motor yacht superstructure component is made extensively with composite. 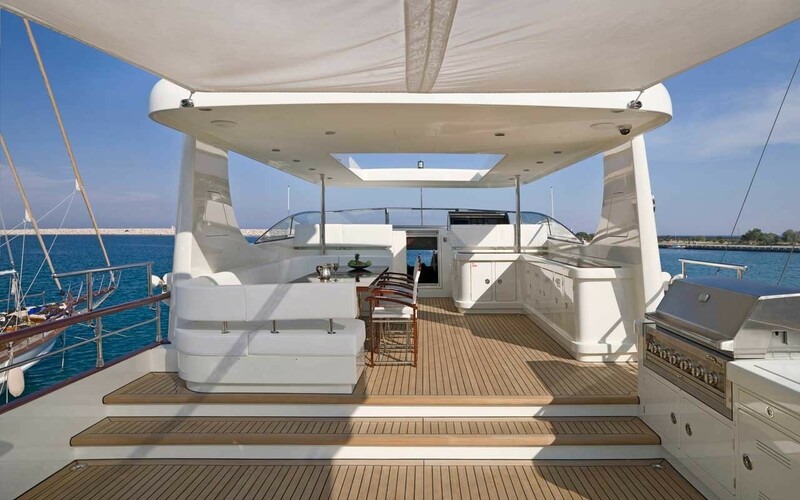 With a beam of 6.95 metres / 22.8 ft CIPITOUBA II has reasonable size. A fairly shallow draught of 1.55m (5.1ft) limits the number of overall ports she can berth in, taking into account their individual depth at low tide. Her propulsion units are twin screw propellers. The well proportioned luxury yacht M/Y CIPITOUBA II can sleep up to 8 guests in addition to 5 crew. 34.5 metres / 113.2 feet. The Model type is C32 V12 diesel. 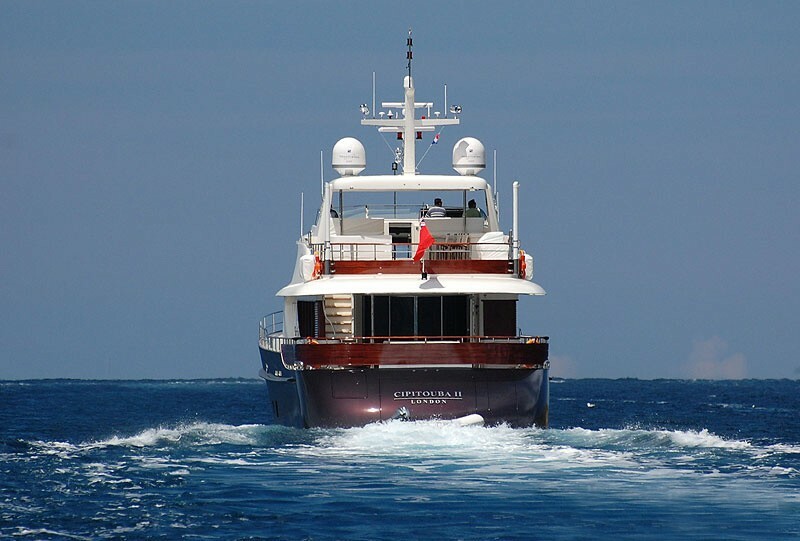 The luxury yacht CIPITOUBA II displayed on this page is merely informational and she is not necessarily available for yacht charter or for sale, nor is she represented or marketed in anyway by CharterWorld. This web page and the superyacht information contained herein is not contractual. All yacht specifications and informations are displayed in good faith but CharterWorld does not warrant or assume any legal liability or responsibility for the current accuracy, completeness, validity, or usefulness of any superyacht information and/or images displayed. All boat information is subject to change without prior notice and may not be current.